When it comes to the untapped potential for adventure travel, Central Asia remains one of the best locations on the planet. Not only is it a place that is rich in history and culture, it has also been blessed with an overabundance of natural wonders as well. From towering mountains to pristine lakes and rivers to picturesque valleys and quaint villages, there is unbelievable beauty around nearly every turn. And while all of the countries that make up the region have something to offer, it is Kazakhstan that stands above the rest. While the travel industry is most definitely on the rise in Kazakhstan, it still remains a bit off the more beaten tourist paths. That means that it remains largely unchanged, providing visitors with a more natural, authentic view of the culture there. It also means that some of the best places in the country – such as the capital city of Astana – aren't overrun with foreign visitors just yet. This gives you the opportunity to interact and chat with the locals in a much more natural fashion. It also means that you won't have to battle large crowds to visit such amazing monuments as Zenkov Cathedral in Almaty. While not quite as large as the Grand Canyon in the U.S., Kazakhstan's Charyn Canyon is magnificent in its own right. Stretching along the banks of the Charyn River, the massive gorge is more than 277 miles (446 km) in length and is as much as 50 miles (80 km) wide at certain points. The sweeping sandstone walls and cliffs make for a dramatic backdrop for challenging hiking trails that criss-cross across the entire area, allowing visitors to take in the jaw-dropping views from a variety of perspectives. At its deepest points, the canyon plummets as much as 980 feet (300 meters) down, bringing an impressive sense of scope and scale to this outdoor setting. If you do visit the canyon, be sure to check out the amazing natural rock sculptures found at the Valley of Castles, a section that is just 1.2 miles (2 km) long, but well worth exploring. Outdoor enthusiasts will find a lot to love in Kazakhstan. While the country isn't particularly large, it does have numerous national parks that travelers will enjoy exploring. The first of those parks was created back in 1985, but nine more have been added since. The crown jewel of these protected lands just might be Bayanaul National Park, which features three spectacular lakes, towering mountains, and extensive cave systems. Kazakhstan is a wild and remote place with plenty of wonderful wildlife to spot as well. Birders will love the wide variety of avian life that can be found there, but there are plenty of larger mammals as well. For instance, ibex are common in certain parts of the country, as are red marmots, mountain sheep, golden eagles, and even Tien Shan brown bears. The Aksu-Zhabagyly Nature Reserve, located in the southern part of the country, is a wonderful place to spot many of these animals in their natural environment. The Kolsai Lakes are also in the southern part of Kazakhstan and consist of three large, successive bodies of water surrounded by snowcapped peaks that fall along the border with neighboring Kyrgyzstan. Visitors can spend several days hiking rugged trails throughout the region, staying in basic – yet comfortable – huts in the evening. Camping, horseback riding, and trout fishing are amongst the others activities that adventurous travelers can take part in along the lakes, where they are far more likely to encounter local outdoorsmen than any other foreign visitors. Humans have lived in the region that is now called Kazakhstan for more than 12,000 years, so as a result there is quite a lot of history to be seen just about everywhere. For instance, there are multiple important archaeological sites located throughout the country, including five locations that are on the UNESCO World Heritage list. Amongst them are the Mausoleum of Khoja Ahmed Yasawi, the ruler of the Timurid Empire, and the remarkable petroglyphs at Tamgaly that date back more than 4000 years. Kazakhstan was also once part of the famed Silk Road, which saw merchants coming and going between Europe and China during an important age of exploration and discovery. You'll also find that architecture left over from the Russian Empire is still prominent in some regions of the country, as well, as are buildings from the Soviet era that followed. There are even remnants of Kazakhstan's nomadic past to be seen too, providing a glimpse way back into the nation's history. 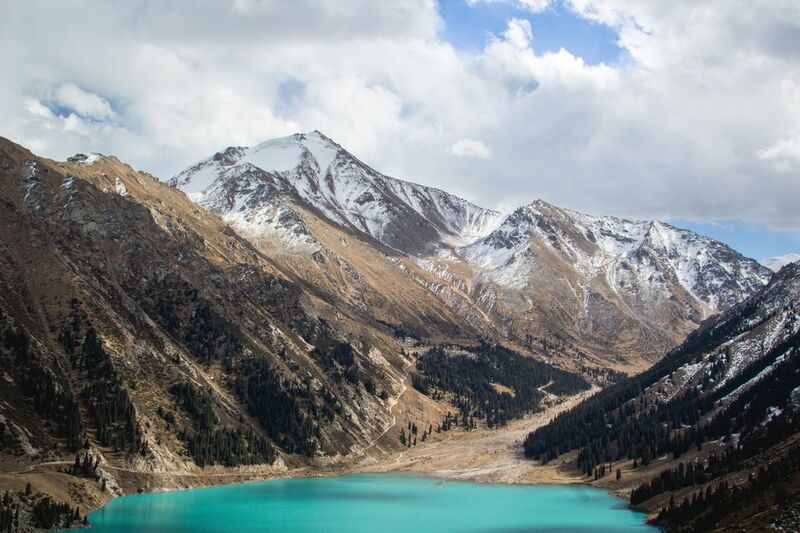 While Kazakhstan is filled with natural, cultural, and historical wonders, it's two largest cities – Almaty and Astana – have much to offer modern travelers as well. Fine restaurants, a thriving nightlife, plenty of shopping, as well as museums and other attractions can all be found in these modern, sophisticated urban centers which make the perfect base camps for your more adventurous activities. As you can probably tell, Kazakhstan is a land of diversity. It offers plenty of adventures for foreign visitors, with diverse landscapes and cities to explore. But best of all, it remains largely unknown to western travelers, making it a place that has remained well grounded and close to its roots. In the 21st century, there are fewer and fewer destinations that can claim the same, which is why visiting these off-the-beaten-path destinations is so important. Go there now, before everyone else learns just how good it truly is. Once the word gets out, Kazakhstan may never be the same again. What Makes Mt. Kilimanjaro Such a Special Adventure Destination?